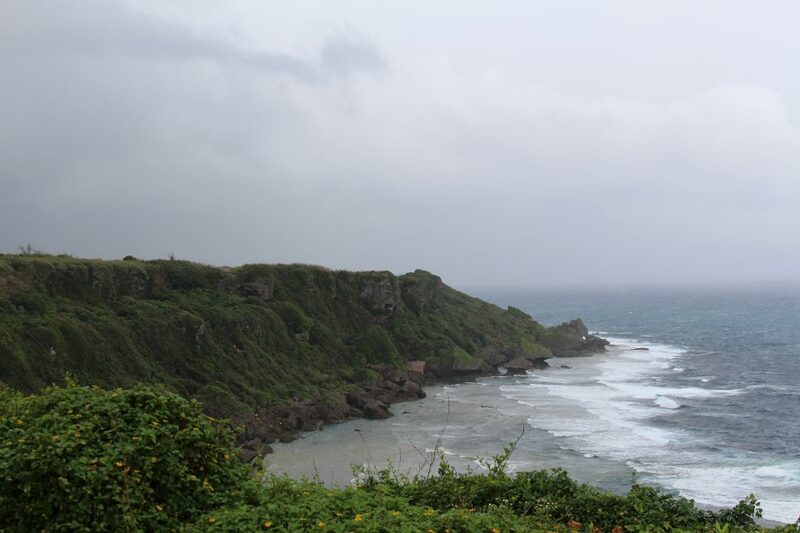 In the morning, we took a bus over to the south end, where the last battle for Okinawa was fought between Japanese and U.S. troops in WWII. 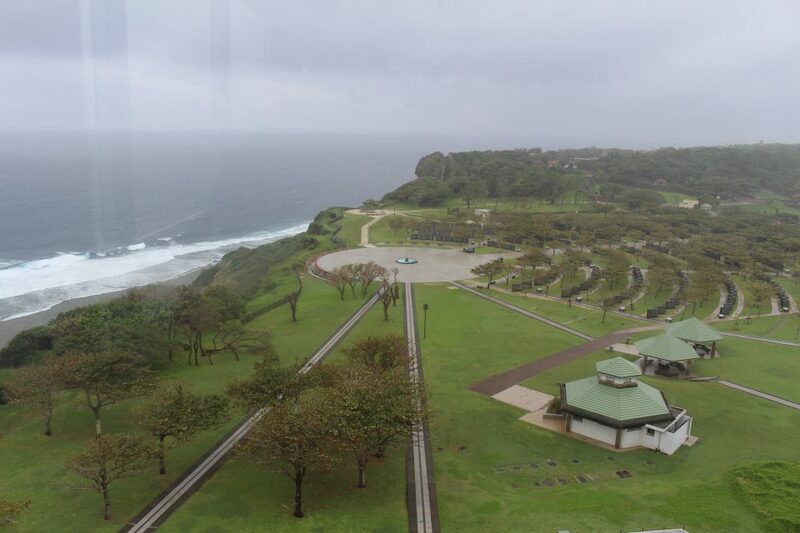 Okinawa Peace Memorial Park has a nice museum dedicated to telling Okinawa’s history, from Ryukyu to U.S. occupation and Japanese repatriation. 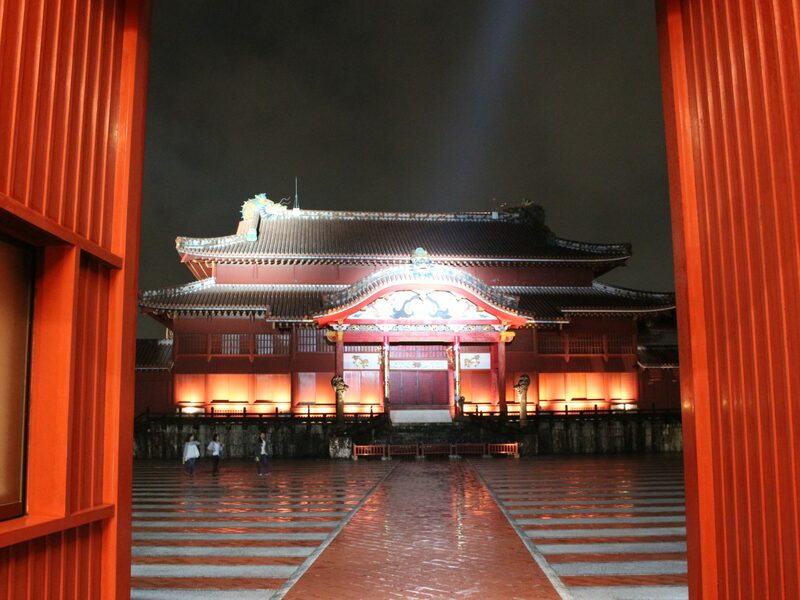 Couldn’t take any pictures in the museum, but the park is picturesque even on a rainy day. 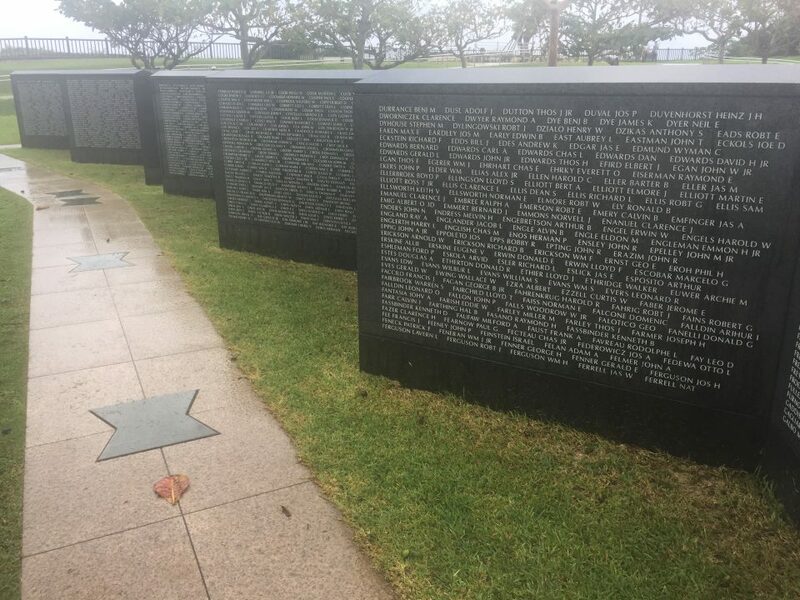 The Cornerstone of Peace Memorial has not only names of the registered Japanese and Okinawans that died in battle, but also the Americans. 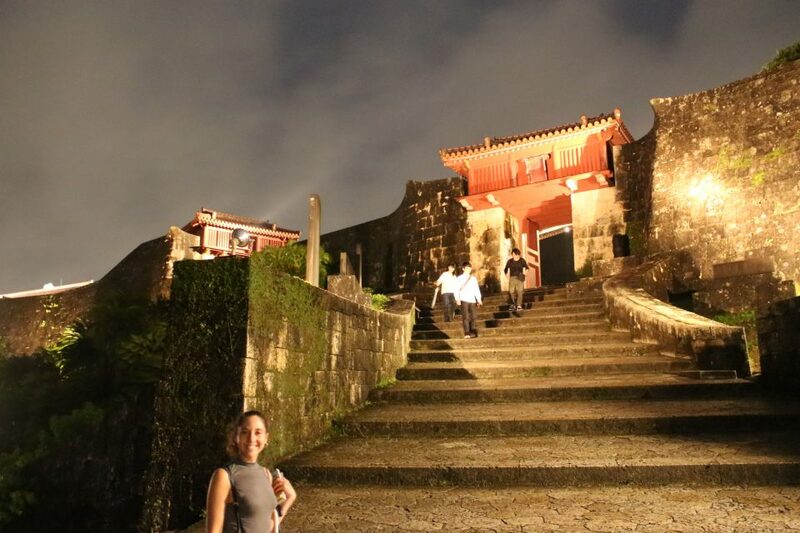 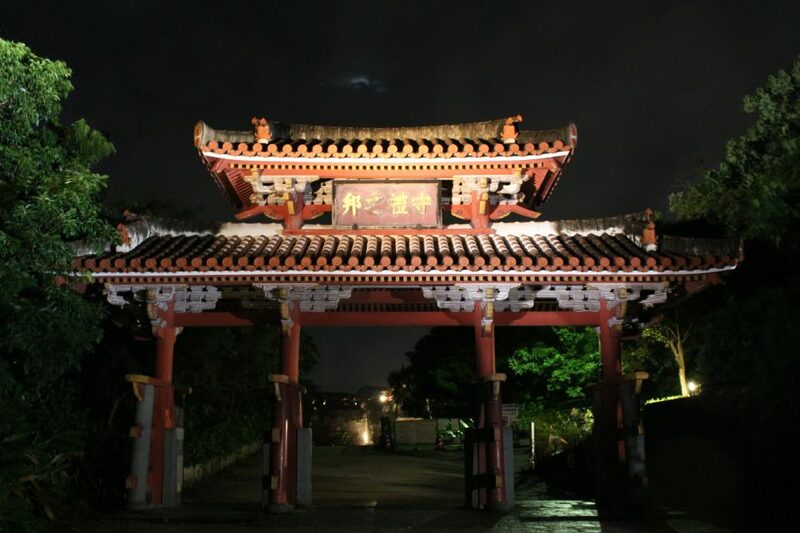 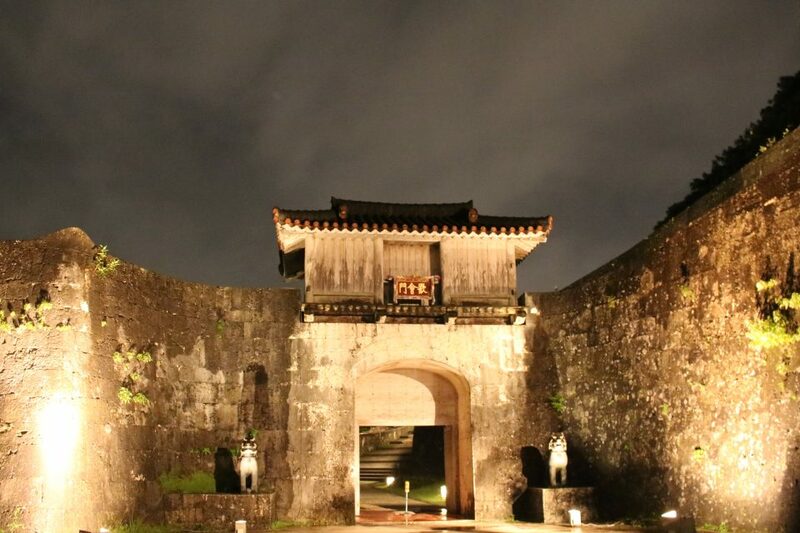 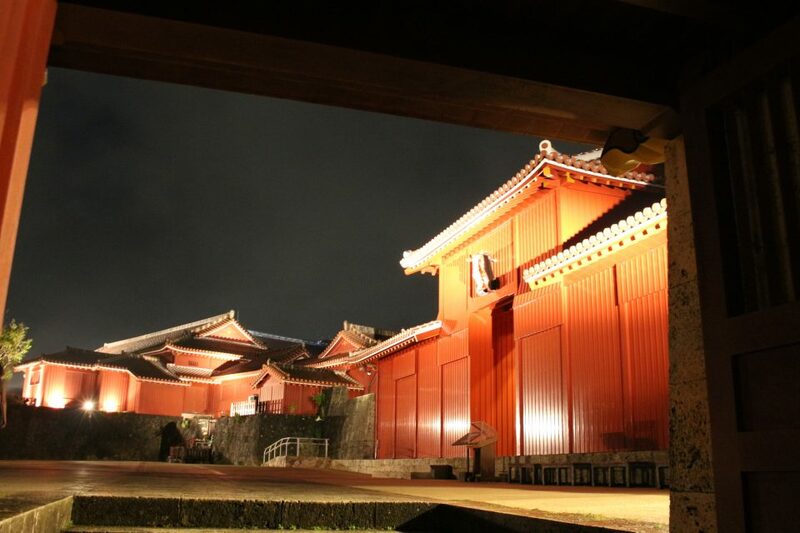 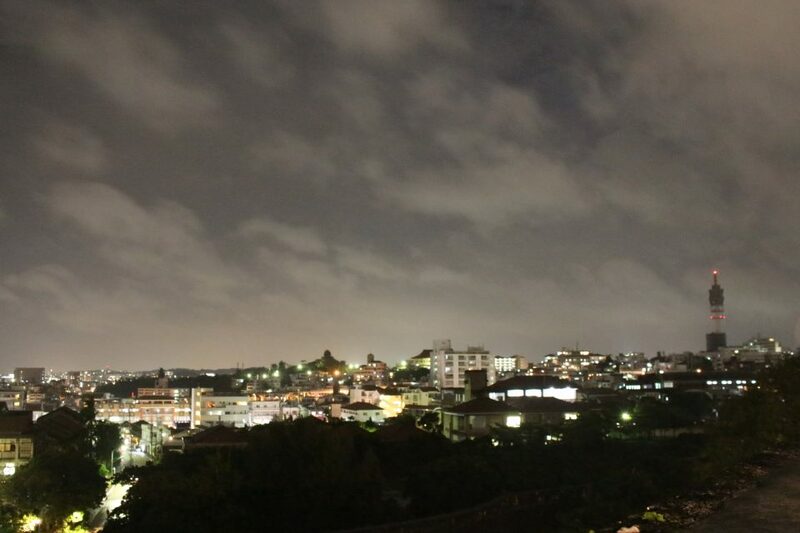 At night, we visited Shuri Castle, former imperial palace of the Ryukyus. 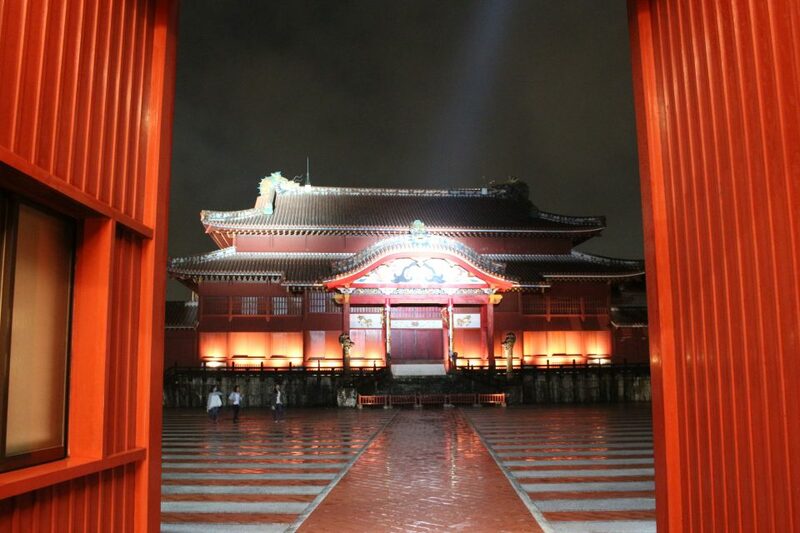 In 1945, it was crushed by the aforementioned war battles, but has since been rebuilt and restored, lately in 1992, and is now a UNESCO World Heritage site. 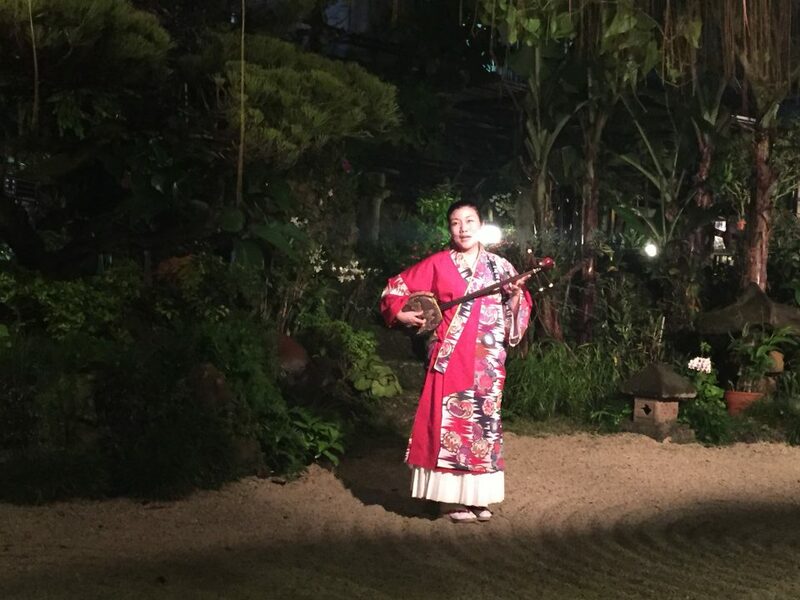 After visiting the castle, we had a traditional Okinawan dinner with squid ink noodles, purple yams, and awamori sake–complete with live traditional Okinawan music.